Minimal maintenance does more than save time, it saves money. 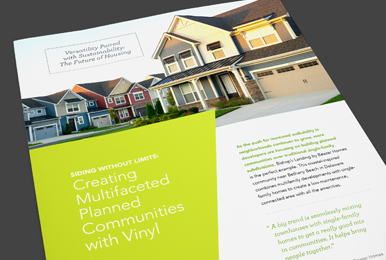 With fewer materials to purchase, vinyl siding reduces the need for upkeep. Today’s vinyl siding offers all the appeal of wood siding without the maintenance worries, rotting, splitting, or insect damage. Unlike other exterior cladding, vinyl siding only requires periodic cleaning with mild soap and water from a garden hose. Learn more tips and tricks for how to clean vinyl siding below. Yes, though you should read the washer instructions carefully before use. When cleaning, hold the power washer straight at eye level to keep the water on top of the siding where it can clean most effectively. Do not aim the power washer upward as water may be driven behind the siding. You should also follow the siding manufacturer’s recommendations. Some manufacturers don’t want pressure washers used on their products at all. Others allow them, but have limitations on the amount of pressure and the cleaners that can be used. Most will caution against the use of pressure washers around any opening in the wall, such as windows, doors, electrical wiring, and plumbing. How do I remove mulch residue? What types of cleaners should I use? A list of commonly accepted cleaners is provided below. Be sure to spot check any general or stain specific cleaner before using it on a large section of siding. After removing the stain, rinse thoroughly with water. Do not use cleaners containing organic solvents, undiluted chlorine bleach, liquid grease remover, nail polish remover, or furniture polish or cleaners. They can affect the surface of the siding. General cleaners (e.g., Simple Green®, Nice & Easy®, Armor All®, etc.) can be used to clean dirt, bird droppings, and spider webs. Stain-specific cleaners are listed below. Rinse all cleaners with water before they dry. Cleaning Materials are listed in alphabetical order. VSI does not endorse products or processes and makes no warranties for the products referenced herein. Reference to proprietary names is for illustrative purposes only and is not intended to imply that there are not equally effective alternatives. How can I protect vinyl siding from discoloration? How does heat affect vinyl siding? Vinyl siding is made from organic materials and can melt when exposed to a significant heat source. Vinyl is a combustible material, but will not readily ignite unless exposed to flames from an existing fire. Home and building owners with all types of siding should always take precautions to keep heat sources such as barbeque grills, and readily ignitable materials such as dry leaves, mulch, and trash away from the structure. How does heat from reflected light affect vinyl siding? Abnormally concentrated sunlight reflected onto vinyl siding by windows can result in surface temperatures far exceeding those caused by direct exposure to the sun. Temperatures necessary to cause significant distortion of vinyl siding are not routinely achieved, even when siding is exposed to both direct sunlight and the reflection from normal, flat window glass. However, under some conditions the glass in energy efficient windows can become concave, forming a mirror that concentrates sunlight in a small area. Temperatures in this area can be greater than many building materials, including vinyl siding, are designed to withstand. The best way to avoid or reduce this problem depends on the specific circumstances. However, anything that blocks the path of sunlight, either to the window or between the window and the siding, will eliminate or reduce the problem. This includes the strategic placement of trees, bushes or other landscaping elements and the use of sunshades above windows. Screening applied to windows may reduce the total amount of reflected energy sufficiently to avoid the problem. Consult with your vinyl siding manufacturer before painting vinyl siding. Many manufacturers void their warranties if the siding is painted. What kind of vinyl siding should I use? There are many different shapes, colors, and textures of vinyl siding. While VSI does not recommend any one type or brand, it does sponsor the VSI Product Certification Program that helps ensure the quality of vinyl siding through a third-party inspection process. Vinyl siding certified through VSI’s Program carries a special logo on its packaging that means it has been independently verified to meet or exceed the industry standard for quality. 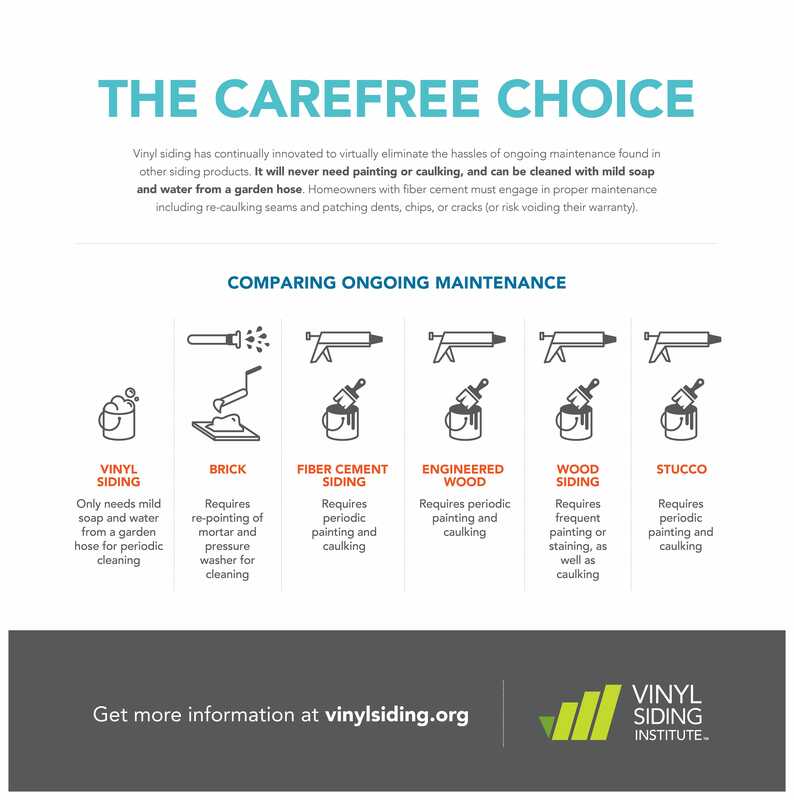 For more information about which brands of vinyl siding are certified, click here for our searchable database of certified products.For more information on vinyl siding, contact a manufacturing member or explore this website.